ACT NOW! 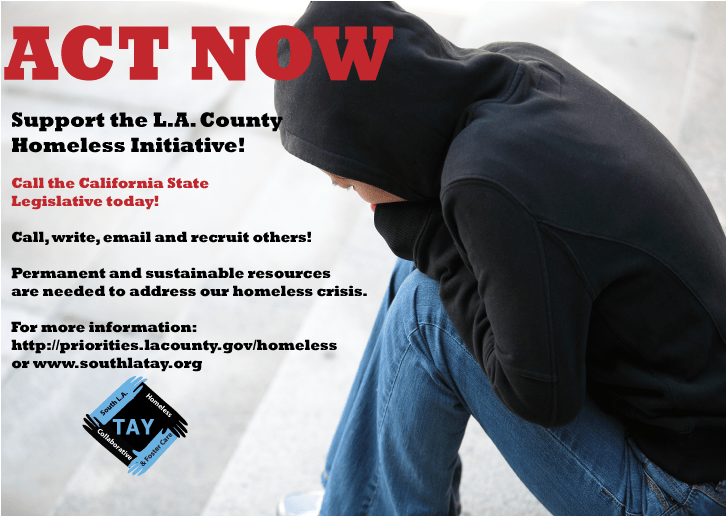 Your help is needed to supporting the Homeless Initiative in L.A. County at the California State Legislative level. We urgently request your help in emailing, writing or calling in support of this matter. Permanent and sustainable resources are needed to address our homeless crisis. Contact the Leadership of the State Legislature today to urge them to support trailer bill language to grant counties the authority to seek voter approval to impose a special tax on personal income above $1 million/year to combat homelessness. Spread the word about this urgent effort and encourage your colleagues and community partners to submit their advocacy letters.